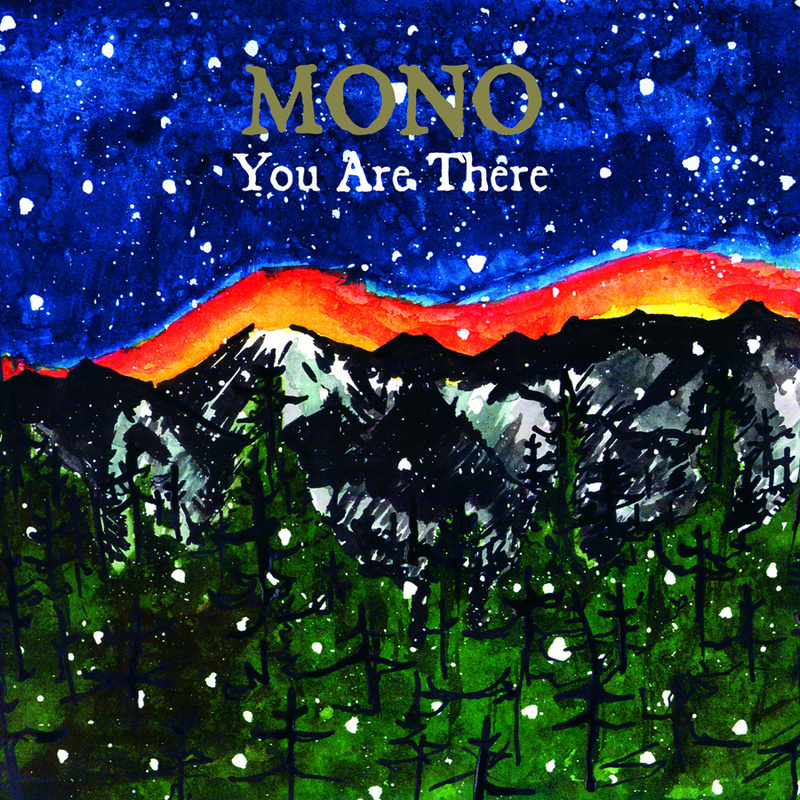 On May 29, 2010, a friend and I filed among an eager crowd into Daniel Street in Milford, Connecticut to bask in the tidal wave of Japanese instrumental rock outfit MONO. It was my first time hearing the band in person, and the claustrophobic feel of the space lent the experience an intimacy that only small clubs can offer. That venue has since been turned into a pizza restaurant, but the music that once coursed through me there continues to spoke dark corners of my mind with its cutting wheel. 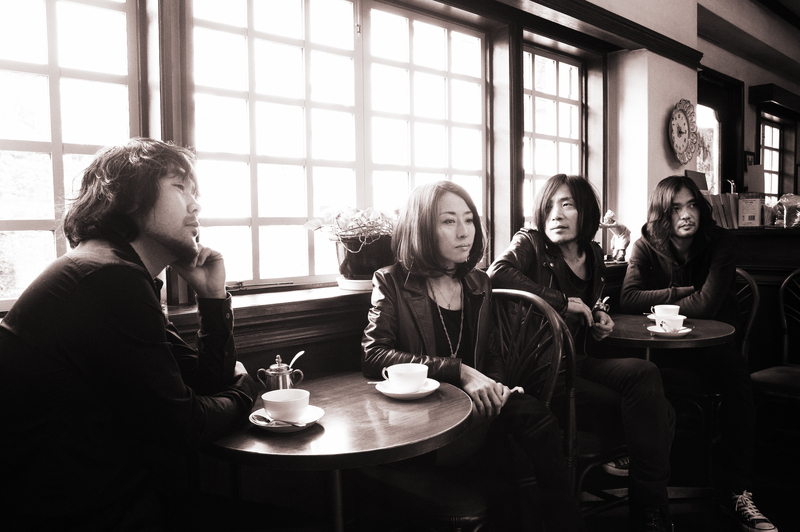 It took eclectic genius and underground forerunner John Zorn to recognize the vision of MONO, who at the time had only put out the debut EP Hey, You on Japanese indie label Forty-4. Zorn introduced the band’s dense wall of sound to a wider audience of unsuspecting listeners (myself among them) via his Tzadik label in 2001. Under the Pipal Tree instantly made MONO a household name in post-rock, tracing the shadows of such influential acts as Sonic Youth and Godspeed You! Black Emperor while keeping a foot also in the door of classical minimalism. Yet it was already clear that MONO was carving its own path into the contemporary soundscape with a force so luminous that it eroded a valley down to the earth’s molten core. Such physicality of expression was honed to raw perfection in You Are There (2006, Temporary Residence Limited). Song titles such as “The Flames Beyond the Cold Mountain” and “The Remains of the Day” were prime indicators of the music’s cinematic charge before a single note was heard, accurate descriptors of a deep relationship to, and respect for, what has come to pass on the way toward incendiary futures. 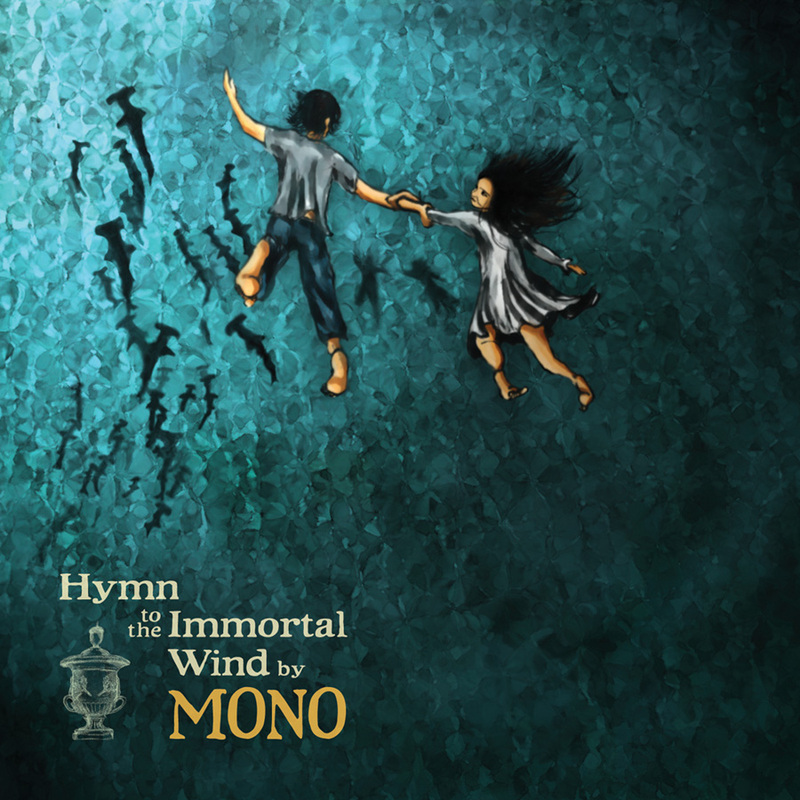 At the same time, the band kept its eyes peeled skyward and achieved something accordingly transcendent on its follow-up, Hymn to the Immortal Wind (2009, Temporary Residence Limited). Packaged with a short story by Heeya So, the album was a full realization of means and message. MONO’s meticulous grammar puts onslaught and introspection in consistent dialogue with one another and sets the band apart from a legion of Mogwai clones. By way of opening declension, “Legend” sets a precedent, maintained throughout, of sustain and cellular parsing. The former emerges into the foreground by way of the Holy Ground Orchestra, the strings of which rest the music on a thin metallic edge. An anthemic guitar bursts across the stratosphere, a meteor portending not doom but glorious radiance. Like the eponymous planet in Lars von Trier’s Melancholia, it comes hurtling with quietude in anticipation of its beauteous crumbling. There is a swell and thrum to this evolution, the Beethovenian tinge of timpani pushing through the narrative clichés into a fully embodied territory of caution. The dropdown meditation comes like a savior who, with final breaths, gives shape to the balloon of time that will float its soul away. Tectonic gears lubricated by soil and decomposed bodies turn the world into a clock, the rhythm to which humanity marches in solidarity, finding in the kiss of apocalypse a sense of community and hope for the great beyond. The ending is simultaneously takeoff and landing, a rendering of contact between the seen and the unseen, which lifts its contradictions to the altar of “Nostalgia.” Here guitar tremolos glide around bass in ribbons of flight while strings drag their feet across frozen rivers freshly dusted with snow and human ashes. There is a tension here between chords as memories. The song ends in a line of twinkling stars, hovering over the head of a sleeping child who scales them into “Dream Odyssey.” She leaves a crumb trail of stardust by her passage, forming a staircase for any who dare follow. Realizing she has made the right decision, she jumps into the currents of the Milky Way—not a leap of drama but a surrender to gravity from behind closed eyes. With arms outstretched and chest to the heavens, she falls back into the folds of her slumber. Such images come naturally in the warmth of MONO’s sound blanket. And with an average track length of 11 minutes, their scenography is not for the faint of heart. This holds especially true for “Unseen Harbor,” which finds the quartet at its densest and most intensely filmic: a quiet sanctum that compresses coal into the diamonds of its universal alignment. The drumming lends spacious punctuation—à la M83’s soundtrack to Oblivion—to the growth of this text as it trickles into the undertow, only to be consigned to a vessel without a home. All of which funnels contemplatively into “A Quiet Place (Together We Go).” The album’s consistency of technical and atmospheric flourish finds resurrection in this, its final hour, thus bringing the cover photograph to life, walking hand in hand from infancy to old age, and seeking in the fallible body something eternal, something made of light. Of its many facets, for my parents actualizes but a few and shapes their reflections in the image of something divine. Life itself hangs in the balance of this music and builds from its interstice a grappling so unbreakable that it holds the forces of this planetary system together and sings our mortality without fear. Welcome to the void.